Tulip Inn América Studios All Suites, Buenos Aires discount hotels and accommodation. Located in the center of teh city near the Opera House, Columbus Theater, Bank District, Shopping´s center´s, Recoleta street and the comercial Area. Ideal for work trips or pleasure. 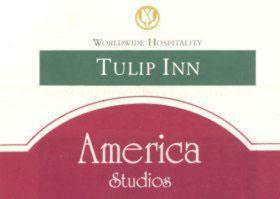 View photos, room descriptions and make online reservations at Tulip Inn América Studios All Suites. Save on room prices at Tulip Inn América Studios All Suites, Buenos Aires.